New Rochelle, NY, October 18, 2018–A new study identified a significant association between HIV infection and complexities of treating patients with tuberculosis coinfection. Patients with HIV were more likely to have more tuberculosis drug-related adverse events, more hospital readmissions, and longer tuberculosis treatment duration, as reported in AIDS Research and Human Retroviruses, a peer-reviewed journal from Mary Ann Liebert, Inc., publishers. 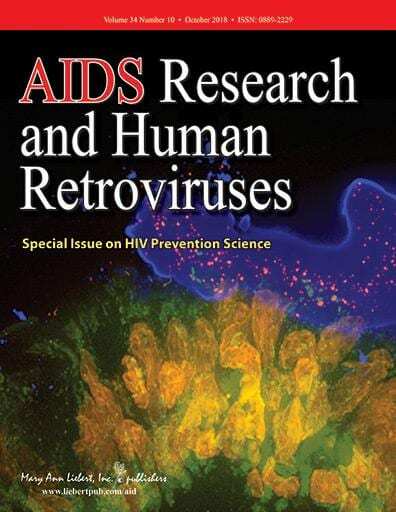 Click here to read the full-text article free on the AIDS Research and Human Retroviruses website through November 18, 2018. Marcos Schechter, Emory University School of Medicine (Atlanta, GA) and colleagues from the Rollins School of Public Health, Emory University (Atlanta, GA), Emory University, Fulton County Health Board of Health (Atlanta), DeKalb County Board of Health (Decatur, GA), and Grady Memorial Hospital (Atlanta, GA) coauthored the article entitled "Treatment Complexities among Patients with Tuberculosis in a High HIV Prevalence Cohort in the United States." The researchers demonstrated a more complex treatment course for patients with tuberculosis in an area with a high rate of HIV coinfection and emphasized the importance of having the resources and expertise to treat coinfected patients in these areas. "This study demonstrates that infection with HIV and TB worsens the course of multiple clinically relevant aspects of TB care, increasing hospital readmissions, and adverse events and duration of drug treatment. This knowledge will help clinicians provide better and more efficient treatment for the many individuals coinfected with HIV and TB around the world," says Thomas Hope, PhD, Editor-in-Chief of AIDS Research and Human Retroviruses and Professor of Cell and Molecular Biology at Northwestern University, Feinberg School of Medicine, Chicago, IL.